Dragon Time Essential Oil Blend is designed especially for women. 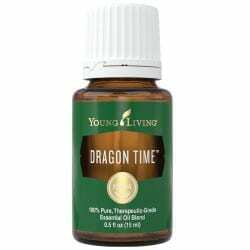 Dragon Time Oil Blend is a proprietary blend of Fennel, Clary Sage, Marjoram, Lavender, Blue Yarrow, and Jasmine essential oils. Its sweet, herbaceous aroma can help promote feelings of stability and calm during cycles of moodiness. Diffuse, inhale directly, or apply Dragon Time topically to experience its steadying aromatic properties. This blend of calming and soothing essential oils, including clary sage, which contains natural phytoestrogens – the perfect choice for women’s emotions during special times and needs. This blend is recommended for young and mature women. In other words, the balancing properties make it a perfect choice for supporting normal, healthy emotions during the female monthly cycle. Dragon Time is recommended for young and mature women.